Taping the ends of your runner is easy with our hand-held dispenser and tape. Includes dispenser and 1 roll of tape. 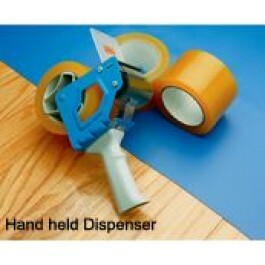 Tape with hand-held dispenser. Includes dispenser and 1 roll of tape.